This Niagara Falls Motel boast its “economy oriented” motel to offer family travelers a comfortable accommodation along with a the best value pricing. The A1 Motel is only 2 miles (3.2 kilometres) from the majestic Niagara Falls. Offering ideal location to all the Lundy’s Lane Shopping and Dining, the A1 Motel is also located across the street from the Cataract Bowling Alley and the Family Fun Centre. 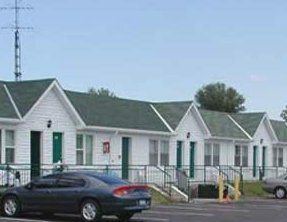 The A1 Motel in Niagara Falls Canada is the perfect family value motel offering free stay for children 12 and under who stay with a parent. Also available is a picnic area with a gas-BBQ play area for children, outdoor heated pool, family kitchenette and a refrigerator in every room. This quality motel is located in the heart of Niagara Falls, Canada on Lundy’s Lane. All of the shopping, dining and attractions along this strip are easily accessible from this motel. Cataract Bowling Alley & the Family Fun Centre are located across the street from the motel.